a fair is a all about synergies. photo basel is grateful to have sponsors, suppliers and stakeholders that make our fair possible. They are as devoted and passionate about their products and services as we are about photo basel. 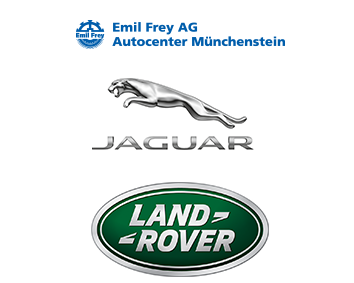 photo basel's official vip fleet is proudly sponsored by Emil Frey - Switzerland's general importer of Jaguar, Range Rover and also Bentley. Since 1988, photograph magazine is dedicated to photo-based art, offering thoughtful coverage of exhibitions, ideas, people, books, events, and resources. Kooness is an online platform that allows you to gatecrash the fine art gallery world by providing a virtual access to galleries all over the world. Get your tickets - and with starticket's print at home solution there are no excuses and no more reasons to wait in line! Intelligent, beautiful and informative, Aesthetica is one of the leading publications for art, design and photography. If you have great art works hanging at the fair, no one is looking at the walls...BUT those walls you can truly have a look at. We are excited to work with the team of art fairs service because they run their business as we are - as a family business. near. was founded in Lausanne in 2009 and its principal aim is to promote contemporary photography. The association organises activities set around four main objectives: to promote and disseminate the work of Swiss and Swiss-based photographers for established talent as well as young artists.